I turned in my final contracted book and am free to make real strides on a picture book! Unfortunately, the baby has decided to nurse every two hours around the clock. I’m not sure if it’s the heat or the humidity here in the southwest, but I really hope he’ll stop when we get home to Seattle. 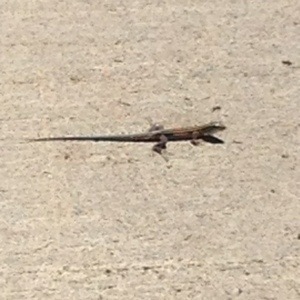 My inlaws have a lovely patio backyard where we can sit and watch the lizards dart around. 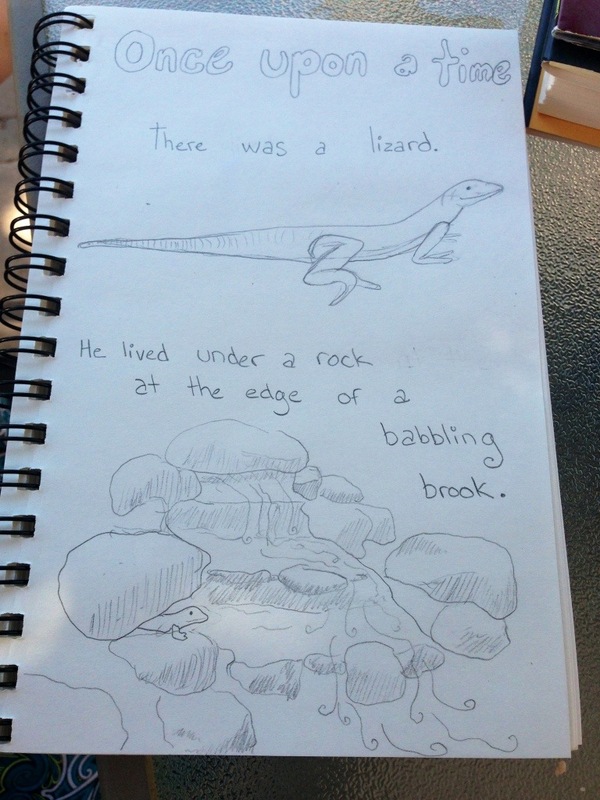 I was reminded of a story called “Lizard’s Rock” that my uncle used to tell, and decided to retell it set here in on the patio with a local lizard and J instead of the bear. Here’s my first brainstorm.